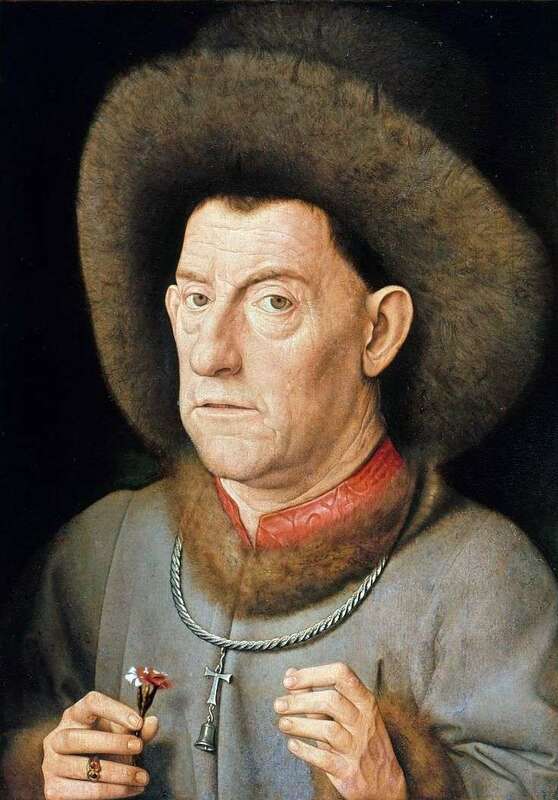 Jan van Eyck, in fact, was one of the first to paint portraits as works of an independent genre – a genre with his own laws and tasks. He is not too diverse in techniques: the presented portrait repeats these techniques, already known to us from other portraits reproduced in this issue. And yet a new word in portraiture was said. And it was said by van Eyck. It was he who first concentrated on the face of the model, as the “window” of its unique inner world. In this podhrudnoi composition, it is the face, which manifests itself on a dark solid background, with its outward impassivity, reveals to us a man who has experienced and thought a lot. Description and meaning of the painting A man with a carnation by Jan van Eyck.